Co-produced with Studio 180 Theatre. In 1913 Atlanta, Georgia, a teenage factory employee is raped and murdered. 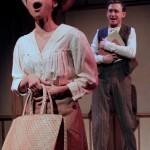 Leo Frank, the young Jewish manager of the factory, is charged with the crime. By manipulating witnesses and tampering with evidence, the prosecution convinces the jury that Frank is guilty. Considered one of the most sensational trials of the early 20th century, the Frank case touched on every hot-button issue of the time: North vs. South, black vs. white, Jewish vs. Christian, industrial vs. agrarian. 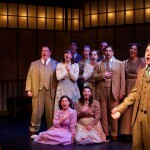 The musical recounts the press frenzy and public outrage surrounding Frank’s trial and conviction, including his crusade for justice amid religious intolerance, political interference and racial tension. 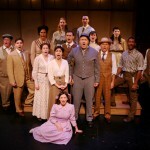 The winner of two Tony Awards for best book and score, and the Drama Desk and New York Critics’ Circle awards for best musical, Parade has built an international following for its haunting score and powerful narrative. 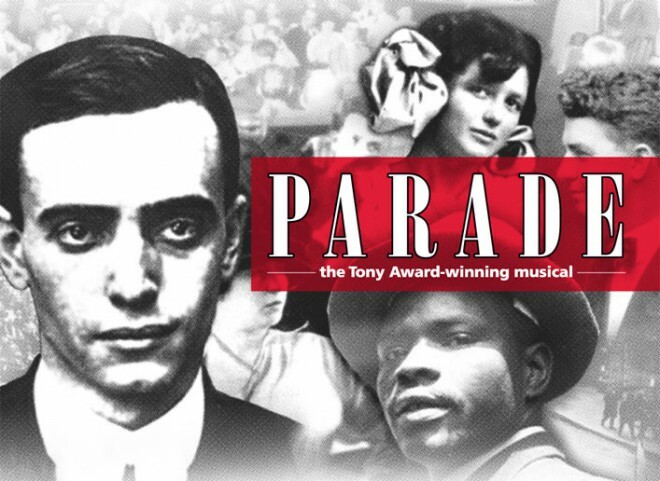 Parade is a welcome reminder that there are still artists and producers who regard the musical as an art form rather than just a way to cash in on nostalgia for old rock songs or movies… The show is studded with fine performances. 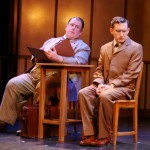 This production of Parade is absolutely compelling… Parade is thinking people’s theatre. This is a powerful and disturbing musical. Bravo to all involved. Great and memorable evenings of theatre are rare, and they usually cost up to $100 a seat, even more. And here, in an old, run-down factory, was a highlight of the year for me. It’s bold, it’s beautiful, it may just be the season’s most emotionally charged offering guaranteed to chase away the winter blahs.